Here is my entry for the Zendala Dare # 26. 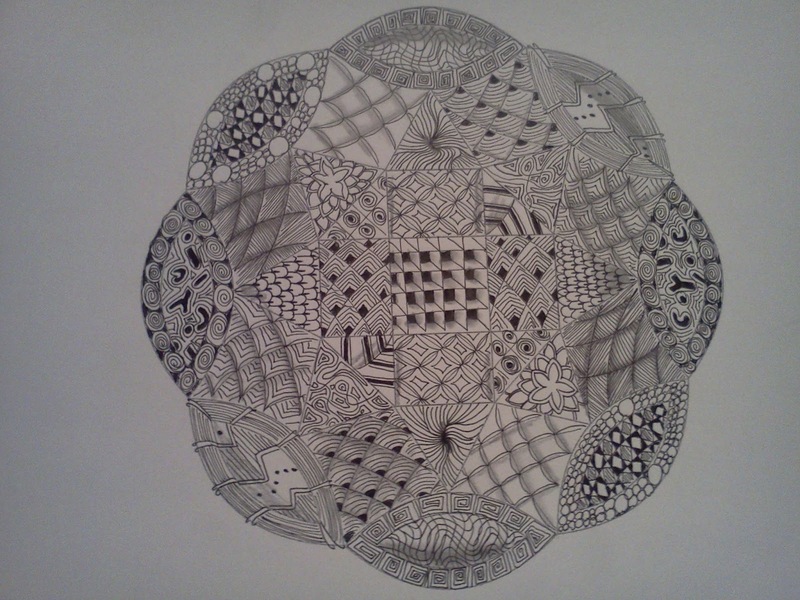 B) I am continuing my work through the official Tangles. All in all this may be one of my favorite Zendala templates. I see doing this one many times in the future. Glad I'm not the only one who didn't use a halloween/autumn theme (though in my case it was because I didn't read before putting pen to paper). I love that you have filled this great template with so many tangles! So much to see and enjoy! 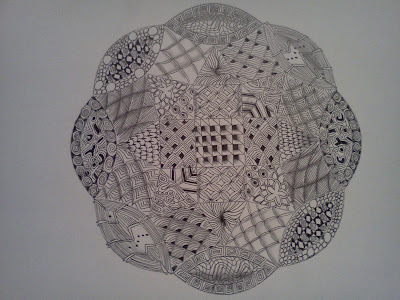 It's like a zentangle sampler! Great work.